As a last post of this mini series, Enock shares what it takes to take on demanding projects and see them through. He talks about community, about gear, about training and preparation – and last but not least about which big adventure is next on his list. Enjoy this last post of the first ever The Active Amputee Special – The Enock Glidden Week. When I climbed El Capitan in October of 2016 I had 15 people in total that helped me pull off that adventure. This is one of the ingredients for making my climbs successful. It requires people. I am fortunate that I have friends who are willing to help out. But that is not necessarily the case for everyone which is why it can be so difficult to do these adventures. I have had the opportunity to meet like-minded people through my participation with Paradox Sports as well as many other organizations. Another great way to find climbing buddies is to join mainstream climbing forums. Just because I may be using adaptive techniques to climb doesn’t mean everyone who climbs with me needs to know how to do them. I can teach people how to help me if needed. When I first got the idea to climb, I went online and did a Google search and found Paradox Sports. I went to their climbing trip in “The Gunks” and met my first group of like-minded people. Another trait required of the people that I climb with is the ability to do more than their fair share of the work. In most cases, I am only able to climb if someone lead climbs first and then sets a rope at the anchor for me to ascend. On El Cap, I was able to do a little bit of help with the hauling of our haul bags. But for the most part, that job fell on Christian Cattell as well as doing the majority of the lead climbing. For the most part, the gear that I use can be bought at any climbing store or through any climbing gear manufacturer. I use an 8003 Petzl web harness. I also use a Petzl Canyoneering harness. The web harness allows me to use a carabiner to close it while adding my Croll into the system attached to that carabiner. The canyoneering harness has a tie in point that I can use to attach the other end of the Croll which completes the system. It is sort of like an electrical circuit; once everything is closed it all flows to work together. Another piece of gear that I use is my T-Bar Ascender. This is the only true adaptive part of my system. It is essentially a normal Petzl Ascender with some type of rod through it to allow me to do pull-ups on the rope. It is also attached to my harness with webbing so it doesn’t fall to the ground if for some reason it becomes detached from the rope. When I do a pull-up the Croll on my harness is also attached to the rope preventing me from sliding back down. The Croll and T-Bar Ascender have teeth that grab the rope so they only slide in one direction. To prevent damage to my legs I wear logging chainsaw chaps. I adapted those with just some eyelets and cord at the bottom to create foot loops. The loops prevent them from riding up and exposing my legs to any danger from the rock. The final ingredient in this whole recipe is my physical fitness. I do my best to get to the gym at least three times a week. But sometimes that is not possible. Then I try to get out and push myself through the woods or workout in other ways. When I do have access to the gym I, of course, do a lot of arm exercises including various weight lifting and lots of pull-ups. Prior to climbing El Cap, I was going to Studio Climbing in San Jose California a couple times a week. By the time I was ready for El Cap I was doing about 300 feet an hour in the gym just climbing a rope and coming back down and doing it all over again. It isn’t just about physical fitness though. My health fitness comes into play a lot when I am climbing. The proper nutrition and gauging how much fluid I am drinking goes a long way to helping me complete my missions. It is a bit different for an adaptive climber in the sense that I can’t just stop and use the bathroom anytime I feel the need, so monitoring my intake is vital to making sure I get enough, but not too much before I can take a break. I also maintained at least 800 calories per meal and snacks in between during my climb. Next June I will be climbing Mt. Rainier. That being a mountaineering type of climb, it will require a completely different set of gear, people, and fitness. I have started the planning process with friends who have climbed Mt. Rainier many times and have also guided an adaptive expedition on Mt. Kilimanjaro. They have a lot of good insight into what it will take to pull off this expedition. I will do another post about that once I tick that one off the list. If you ever have any questions or comments send me an email. Last but not least, I would like to thank Bjoern Eser for this amazing opportunity to get the word out about adaptive climbing. I hope you enjoyed this little mini series about me and my climbing adventures. Also don’t forget to follow my other adventures and to keep up with the future expeditions visit my webpage www.gobeyondthefence.com. Guest post by Enock Glidden. As a person growing up with Spina Bifida, Enock had to develop his own ways to do things from an early age onwards. 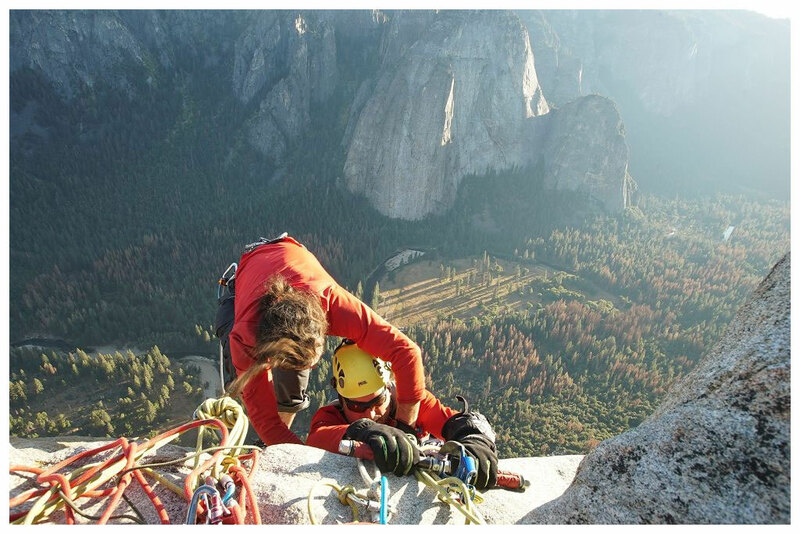 He is an accomplished rock climber, is involed with Pradoxsports and shares his adventures on his blog 'Go Beyond The Fence'. .